Figuring out how to put years of experience into a few bullet points is hard! You’ve done so much in your career thus far, you don’t want to skip over or diminish anything important. With your resume, we want to make sure recruiters have all the important information easily visible, and then drive traffic to your LinkedIn profile, online portfolio, or GitHub for them to dive deeper into your experience. 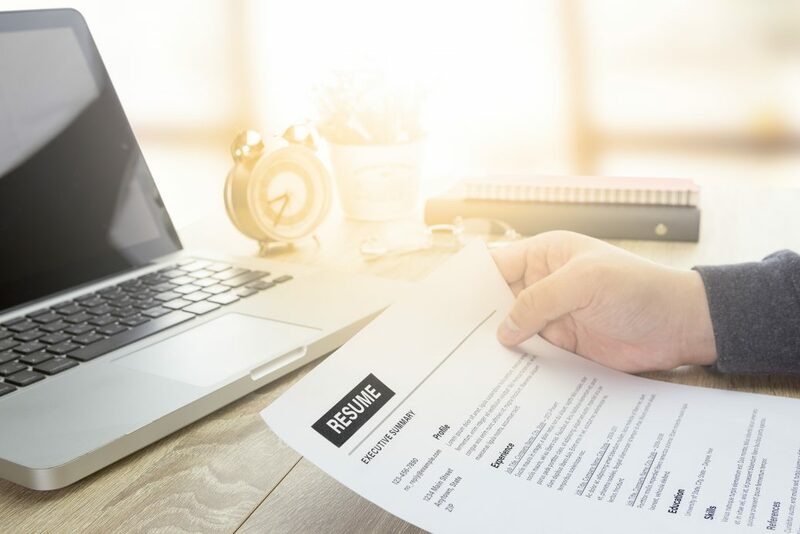 Truth be told, top tech companies have thousands upon thousands of resumes that come through their systems, so recruiters only spend about 10 seconds to skim your resume to see if you’re right for the job. Because of that, you want your resume to be as short and concise as possible. You want to put your best foot forward and highlight why you’d be the best person for the job! So now you’re sitting there with your template picked out and your heading done, and you may be asking yourself, “What now? What do I include? How do I stick out amongst all the other candidates?” Run through this simple and easy guide, and you’ll be ready to launch yourself into the job market! First things first, keep in mind when writing your resume that bullet points are preferred, not paragraphs. Paragraphs are harder for the recruiter to read through quickly. Stay away from long summaries that take up a page or half a page! You only need 4-5 bullet points to highlight how your background matches the job you are applying for. It is not a summary of your entire career, it’s supposed to be a summary of how you meet the qualifications listed on the job description. Instead of formatting your resume by project, you’ll want to format it and organize it by work experiences, with your most recent work experience listed first, and then you can list the associated projects under the position. Highlight your strengths and accomplishments for each position you’ve held, not every little task you did (this goes back to being concise). Automated over 40% of product regression tests and reduced regression time by over 60%. Effort has led to 23% reduction in reported performance related issues. Reduced infrastructure cost by 45% and decreased turnaround time by 40-fold. Try to avoid repeating the same verb with the start of each new bullet point. Try and mix it up! Use some synonyms and strong action verbs. Should I include some personal details about myself? You don’t need an Interest or Hobbies Section. If you want to include hobbies, just list them out into one line. If it bleeds onto a whole new page, get rid of it. You want your resume to be as concise as possible, and this part isn’t important enough to add an additional page. Make sure the spaces between your sections are consistent so the recruiter can easily tell each part from the next. Make sure all dates listed are the same format. I recommend listing the month and the year as it better showcases your length of employment (ex: Mar. 2012 – Oct. 2014). If you have only the years listed (ex: 2012 – 2015), it can be a little misleading and as a recruiter. I am wondering if you are trying to hide something – breaks in employment or lots of short jobs. By not listing the months, it looks like you’ve only worked in that role two years when you’ve been there more than two and a half years. If the content of your resume bleeds over onto a new page to where you have a couple extra lines on a page, mess around with the margins or the spacing to get it to condense the length of your resume so that you don’t have that extra page. In your education section, please make sure you list school, degree earned, concentration, and month and year graduated. Reread your resume to check grammar and spelling. Save your resume as a PDF. Being in the tech field, there’s a lot of abbreviations and technologies that have weird spelling. If you send over a resume through a Word document, lots of those red squiggly lines show up under words the program thinks are spelt wrong. It can be a bit distracting to read. If you send it over as a PDF, your resume looks clean and professional. Plus no one else can edit it. Now that your resume is polished, you are ready to make the leap and send it off, and land an interview to that dream job of yours. Good luck and may the odds be ever in your favor!